31 January 2019: The debate between the protection of biodiversity versus managed conservation has posed many concepts that could potentially change the Australian landscape in the future. Australian conservationist and Adjunct Professor at the University of Canberra, Professor Peter Bridgewater, recently published a paper in BioScience, which highlights the importance of land care and compares Project Half-Earthwith the European Union’s (EU) Natura 2000 program. “The paper resonates with the Australian landscape as we look at nature conservation as a global concern,” said Professor Bridgewater. Developing indigenous protected areas and empowering farmers and land owners, taking Natura 2000 thinking into consideration, is the best solution to sustainable conservation according to Professor Bridgewater’s recent study. “To protect half the earth is impractical as it doesn’t include people in the proposed scenario. What is more important is to manage biodiversity across the landscape and to include cities as part of a conservation plan,” he said. Globally, there is an aim for 17% of land to be protected areas by 2020, a target seemingly on track to be met. Yet there is still a lack of appropriate and continuous funding to manage those areas. National parks are legally protected, but complex differing world views impact on the effectiveness of protected areas to conserve natural resources. Land should not be “set aside” as protected areas or reserves, rather it should be used for nature conservation making people accountable and responsible for managing it. “Nature conservation should be a shared responsibility that rests in the hands of those who best understand its uses and how to manage the conservation of natural habitats, ecology and native plants,” Professor Bridgewater added. Biodiversity needs to be used and managed wisely. As an example, existing wetlands should be kept in good condition. In other areas wetlands should be recreated to secure an ongoing supply of good quality water; and farmers should be encouraged to create natural corridors which make for more resilient land use. “Australian agriculture is sustainable, but we can learn so much more about agricultural practices from the Aboriginal people,” Professor Bridgewater said. “Their connection to the land is based on an instinctive understanding passed on from generation to generation. 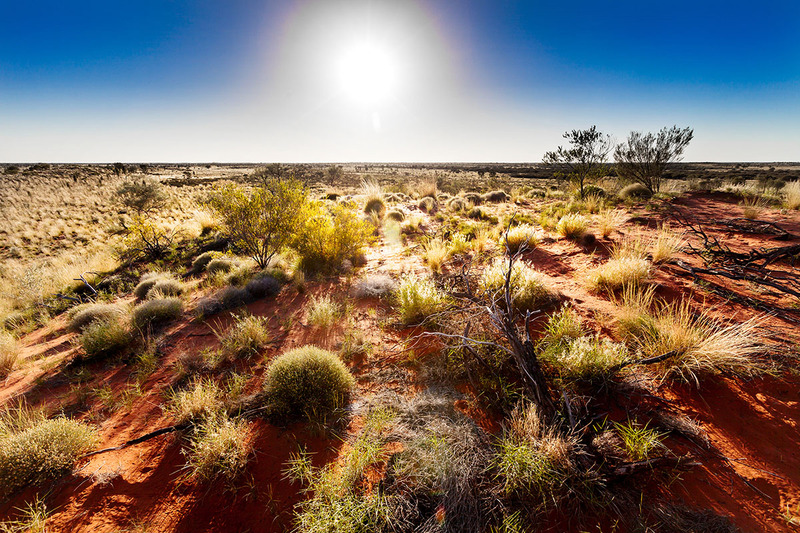 It is my opinion that the Aboriginal people have a better idea of land use and conservation than many experts,” continued Professor Bridgewater. A good example is the use of fire employed by the Aboriginal people in the past that helped with hunting as well as grassland management. This created a landscape that reflected good land care management that was fire resistant. “We also need to apply creative thinking to how we make use of native wildlife. For example, some countries farm ostriches which begs the question as to why Australia isn’t farming emu,” he said. Most farmers react negatively to suggestions such as this as it goes against traditional agricultural practices that have been in existence for generations. Professor Bridgewater relates the story of a farmer near Braidwood. His land was degraded and over grazed. In the last decade he addressed the degradation by refilling and revegetating highly eroded areas, which has reduced run-off and retained water naturally across the farm, resulting in improved crops and better landscape management. At the same time, we could better employ the Global Garden concept from the 90’s, which failed to flow into the suburban gardener’s thinking. Today’s gardens should better reflect the indigenous landscape which will further improve water consumption, run off and manage downstream wetlands. Typically, gardens in Australia, many of which are more suitable to the cooler, wet European climates do not reflect the Australian landscape. By planting indigenous trees, native vegetation and grasses, for example, we could restore the landscape to its lush green value. The evidence for conservation management is clearly laid out in Natura 2000 which inculcates a culture of collective accountability and management of natural resources across society. “This is a far more realistic solution that takes natural resources and human activity into consideration; and it is my opinion that this methodology can easily be introduced to Australian conservation initiatives,” concluded Professor Bridgewater.